We are here to day with first Spring release. It's early Spring here in the UK and the first signs of the new season are already here - the snowdrops. 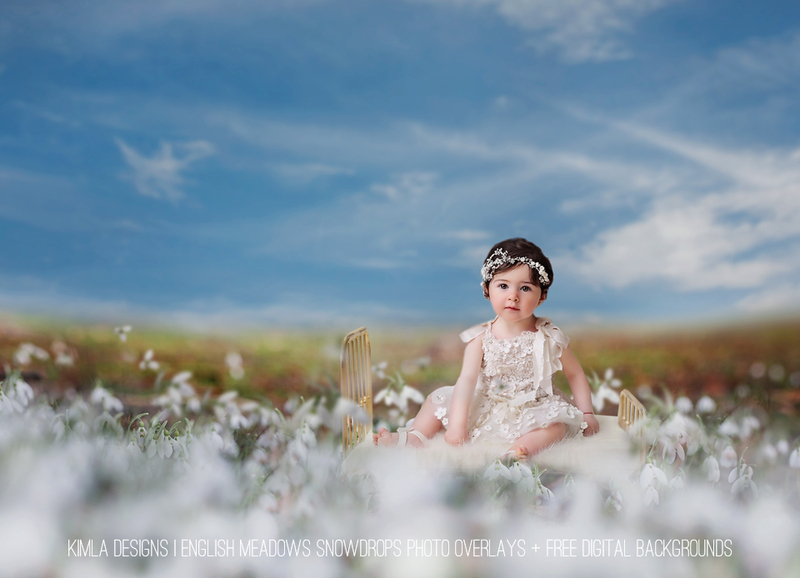 Only now with each Snowdrops Photo Overlays pack, you will get Free matching Digital Backgrounds. There are perfect for any photo manipulation work/composite photography.